The Violin sonata in E major (HWV 373) is a work for violin and harpsichord that was originally thought to have been composed by G. F. Handel. Modern scholars however believe it doubtful that the work was composed by Handel, and have labelled it as "spurious". The work was first published in 1730 by Walsh. 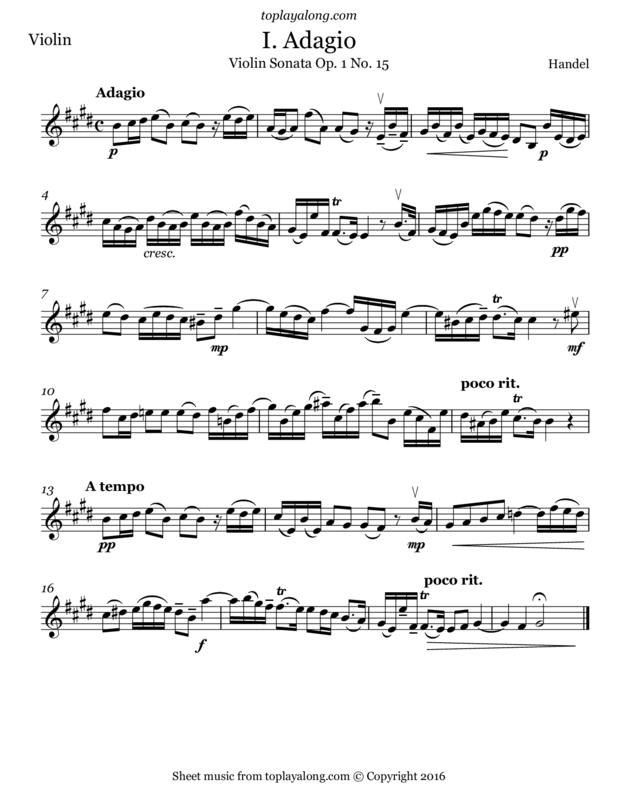 The sonata was first published in the 1730 Walsh edition as Sonata XII. For some reason Walsh did not republish the work in his 1732 edition. The Chrysander edition published the work as Sonata XV, and the designation of "Opus 1, No. 15" is his. All editions indicate that the work is for violin.